Sleep without being exposed to radiation! answered concerning the effect on children. Goldkind.Pro is a complete solution for children’s beds which makes it possible to reduce the radiation by up to 99.999%, which is emitted day and night by more and more Wi-Fi capable devices. 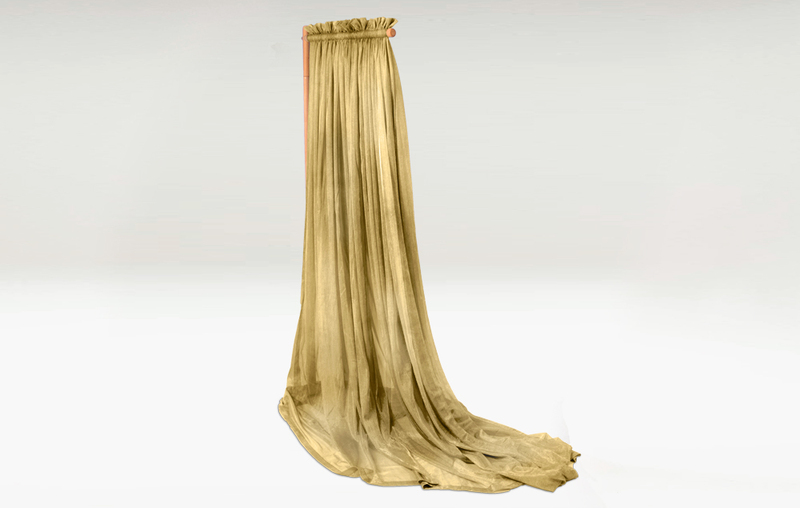 The Goldkind.Pro fabric provides an attenuation of the electromagnetic radiation of up to 55dB. In combination with the Goldkind.Pro duvet cover, which also reliably eliminates high frequency electromagnetic radiation from below, your child will have a very comfortable, calming break from the influences of the technological world. The Goldkind.Pro crib is a very simple complete solution to shield infants and babies from high frequency electromagnetic radiation in a place where they spend most of their time anyway: 16 to 18 hours of restful sleep every day. 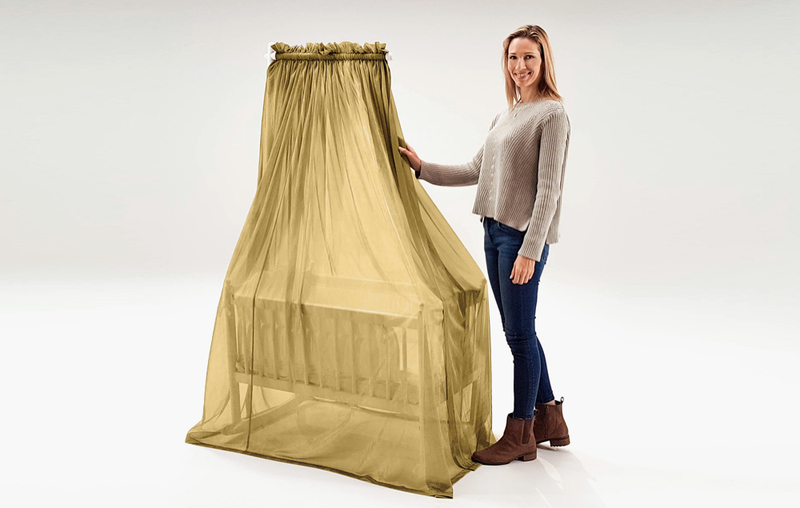 If you already have a cot or crib, the radiation protection canopy from Goldkind.Pro is just the thing for retrofitting. It can be set up very quickly and easily put on the crib. The base of the stand disappears under the bed to save space.